"Access to low-level satellite data"
"WMO OSCAR/Space (Satellite missions, systems, and instruments)"
"Satellite products and imagery for RA II"
The 14th session of WMO Regional Association II, held in Tashkent, Uzbekistan in December 2008, adopted a resolution to establish a pilot project for the development of support for National Meteorological and Hydrological Services (NMHSs) in the areas of satellite data, products and training. 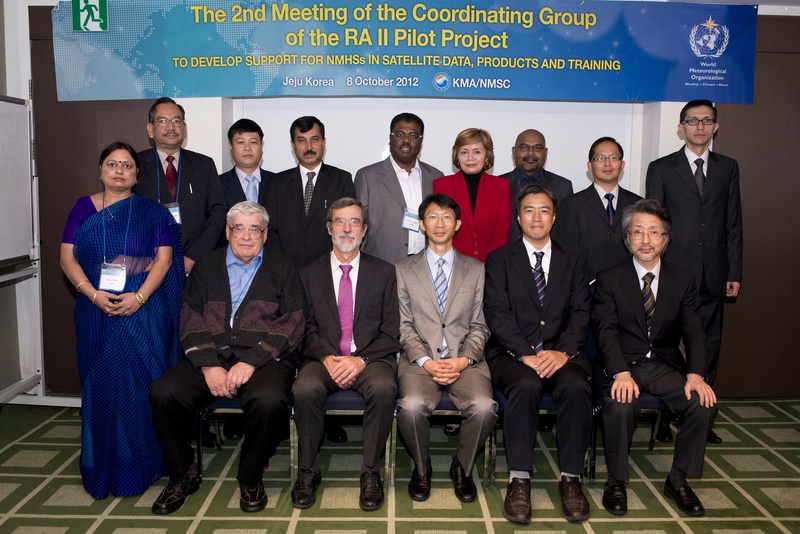 After the session, the WMO Secretariat invited WMO Members to join the Pilot Project Coordinating Group, whose members as of 31 May 2011 are Japan (Co-coordinator), the Republic of Korea (Co-coordinator), Bahrain, China, Hong Kong – China, India, Kyrgyzstan, Maldives, Oman, Pakistan, the Russian Federation, Uzbekistan, Vietnam and, as an observer, EUMETSAT. At the 15th session of Regional Association II held in Doha, Qatar in December 2012, it was decided that the RA II Pilot Project to Develop Support for NMHSs in Satellite Data, Products and Training should continue and become the RA II WIGOS Project from 2013 in light of its importance in improving dialogue between satellite operators and users in the Region. The Association stressed the importance of identifying and regularly documenting Region-oriented requirements for satellite data access and exchange, following the guidance provided by the “Procedure for Documenting Regional Requirements for Satellite Data Access and Exchange” [See Recommendation 4.2/4 (CBS-15)]. It tasked the Project to develop an initial set of such requirements. 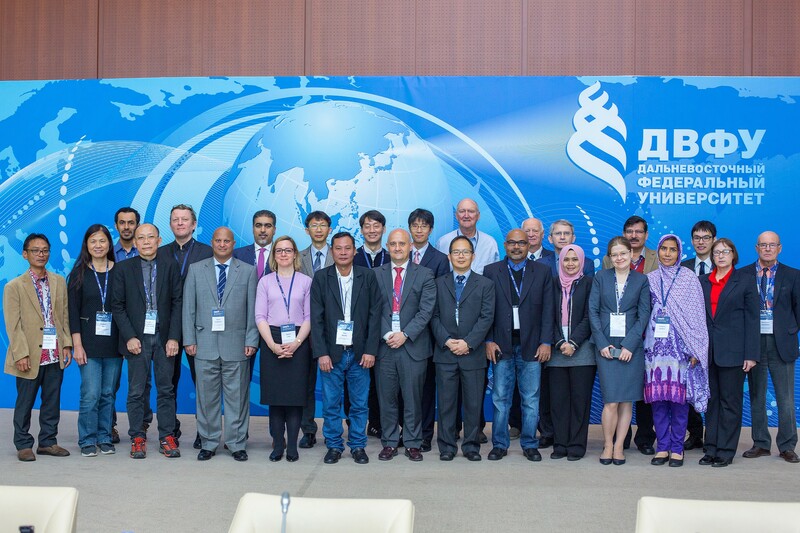 Based on successful completion of the Project plan 2013-2016, the 16th session of the WMO Regional Association II (RA II-16, Abu Dhabi, UAE, Feb. 2017) approved the Regional WIGOS Implementation Plan 2017 – 2020 (R-WIP-II) which includes the RA II WIGOS Implementation Project to Develop Support for NMHSs in Satellite Data, Products and Training. 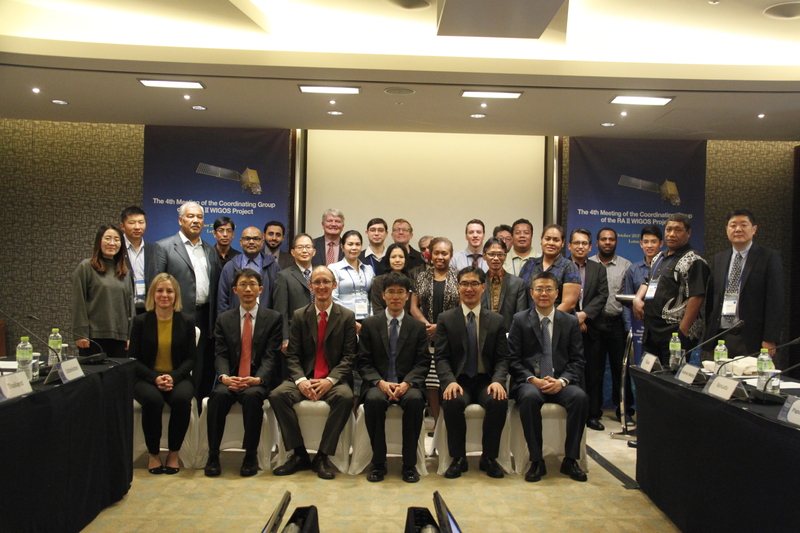 This project assists NMHSs in RA II to make better use of satellite-related information, in collaboration with all relevant satellite operators. It is necessary to establish close coordination and create synergy between other ongoing projects such as the WMO-CGMS Virtual Laboratory (VLab), and the RA V Task Team on Satellite Utilization, and to provide greater benefits while avoiding duplication of effort. To continue the issuance of the quarterly newsletters. 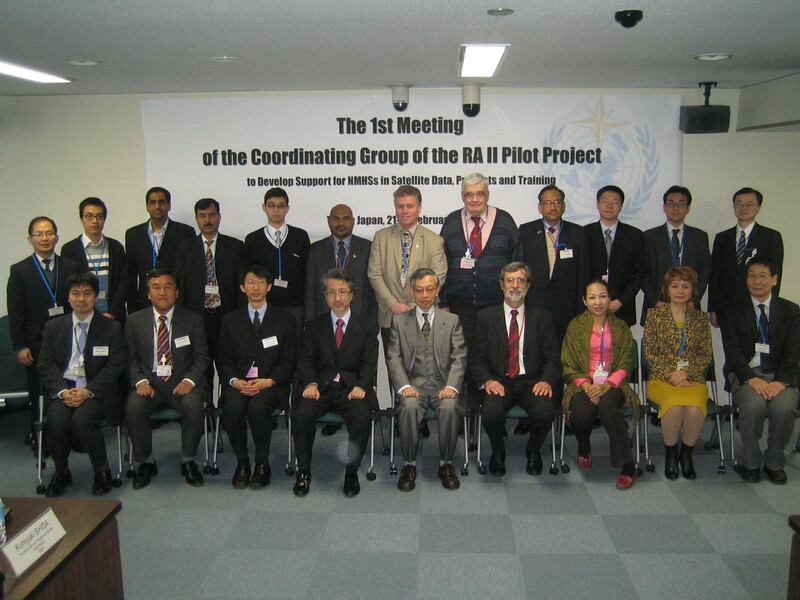 1st Meeting of the Coordinating Group, Tokyo, Japan (21-23 February 2011). China Meteorological Administration (CMA) introduced the Emergency Support Mechanism of FENGYUN (FY) Satellite (FY ESM) in 2018, open to international users who made a request once visited by such extreme events as typhoon, heavy rain, severe convection, forest or grassland fire and sand and dust storm. In this case, the on-duty FY satellite is activated to initiate highly frequent observation of a given area at an interval of up to 5 minutes, processing and generating images and quantitative products, which are provided through such channels as CMACast, Internet and direct satellite broadcasting, to inform the processes of disaster preparedness, mitigation and relief in a timely fashion. The HimawariRequest service enables registered NMHS users to request particular Target Area observations in order to leverage this flexibility on an international scale. 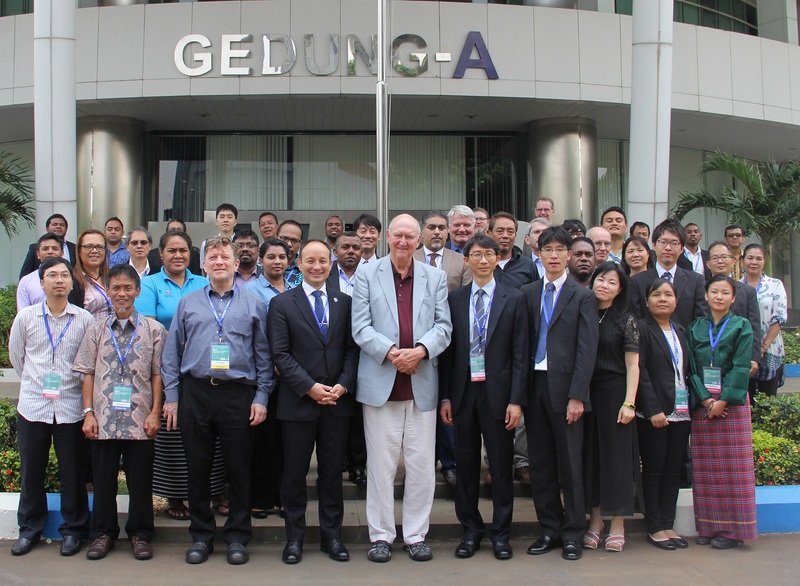 The service stems from a WMO RA II (Asia) regional project to develop support for NMHSs in satellite data, products and training in collaboration with WMO RA V (South-West Pacific) Members. JMA expects the HimawariRequest service to support disaster risk reduction activities in the region based on the monitoring of extreme events such as tropical cyclones and volcanic eruptions. We look forward to receiving your contributions to the newsletter! Articles from satellite operators or from any RA II Member are welcome, regardless of whether they are registered as members of the Project Coordinating Group or not. Topics could include, for example, satellite-related activities, such as how Members have used satellite data to improve weather/climate products.